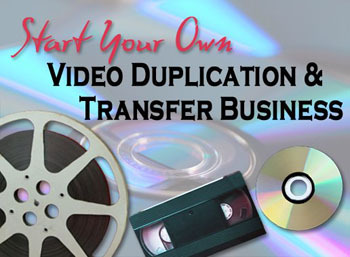 The easiest way to transfer home movies and videos to DVD is to take your movies and videos to a video production company. Search Google for “home video transfer” and add your area code. You will find local video companies that do this work. If you are a do it-yourself person, you can import the video into your computer using a video editing program like Sony Vegas Movie Studio. If your computer, like most of them, has a DVD burner, you can make the DVD. There are also combination VHS and DVD players which make it very easy to transfer a VHS tape to a DVD. These combination players do not require a computer. If you are transferring film such as 8mm, or 16mm, you can use a movie projector and project it on a white wall. Turn off all the lights. Set up a DV camcorder on a tripod. Carefully to focus, white balance on the white light of the projector, and set your exposure manually. Run a test. If the footage seems to strobe, adjust the shutter speed of the projector, but not all projectors have this ability to vary the speed. The camcorder tripod must be aimed straight at the whole wall, otherwise the rectangle of the film frame may be distorted. After you transfer the movie film to your digital camcorder, you can import this footage into your computer and edit with a video editing program. This enables you to remove bad sections, add music and titles and turn your unedited home movies into a video your friends and family will want to watch.